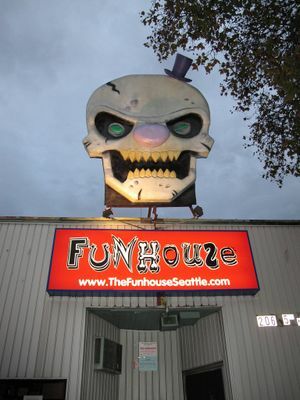 The Funhouse, a much-loved nightclub that was across the street from Seattle Center and shuttered since 2012, is reopening in April inside El Corazon, in South Lake Union. The Funhouse, a popular nightclub across the street from Seattle Center that closed in 2012, is reopening in a new location. Operators Brian Foss and Bobby Kuckelburg have partnered with Dana Sims of El Corazon, another club on Eastlake, in South Lake Union, that specializes in hard rock and heavy metal. The main room at El Corazon will retain its name and character, while the area currently known as the El Corazon Lounge will now be called the Funhouse, catering to local bands, alternative and punk. The new venue debuts April 1 and will open earlier than El Corazon, for happy hour, seven days a week. El Corazon, known as the Off Ramp in the ‘90s, celebrated its 10th anniversary in February.